We, the undersigned, members of the academic community and civil society organizations, denounce the persecution suffered by advocates of the LGBTI+ community and demonstrate our support for Professor Maria Clara Dias, at the Universidade Federal do Rio de Janeiro, Brazil, who has been victimized by terrifyingly offensive and untruthful accusations. 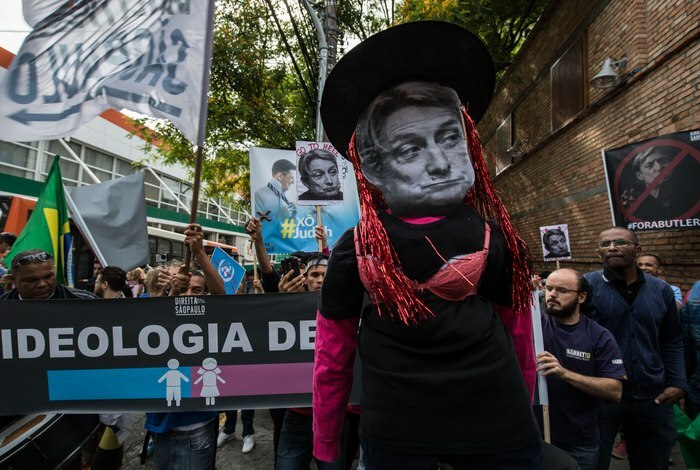 The attacks are directed at the research led by Professor Dias on the murders and suicides of lesbian women in Brazil and began after the launch of the Dossiê sobre Lesbocídio no Brasil entre os anos de 2014 e 2017 (Dossier on Lesbocide in Brazil between the years of 2014 and 2017). Since then, Professor Dias has been targeted by systematic persecution which even involves irresponsible and accusations of fraud and untruthful insinuations of misuse of public funds. The attacks have included unauthorized use of her image and fraudulent distortion of her statements, with the clear intent to intimidate and deter advocacy on behalf of non-heteronormative groups of people. Professor Dias is recognized for her competence and her dedication to human and animal rights and social justice causes and should have her rights and honor preserved. We will not accept the fabrication of fear, hatred and violence and that is why we reaffirm the democratic values of social justice, tolerance and mutual respect.